I love this time of year when the grass and flowers are coming to life again. The birds are returning to our feeder. And the baby chicks are at the local farm store. A couple weeks ago when we were shopping, I just had to stop and see the chicks. They are so cute. I even spotted a chicken coop, but I restrained myself, we do live in the city limits after all. Although I was really tempted. 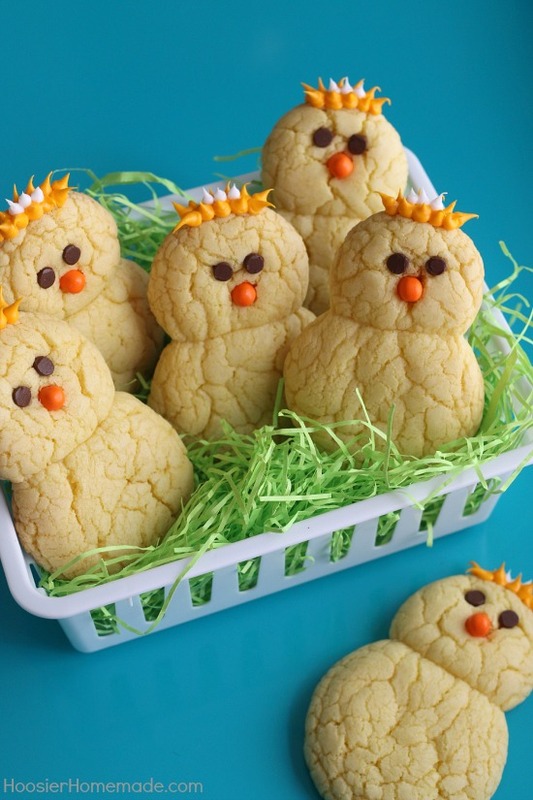 So I guess for now, I’ll just have to be happy with these Lemon Chick Peeper Cookies instead of the real chicks. With just 3 ingredients, you can whip up these lemon cookies in a flash. Just like the Mini Funfetti Sandwich Cookies, I started with a cake mix, Lemon of course, and added eggs and oil. After the cookies are mixed the dough will be very thick, cookie like. Roll the dough into balls and place on the cookie sheet. I used a 2 tablespoon cookie dough scoop for the body and the same for the head but then pinched off about 1/4 of the dough, rolled and placed it right next to the body. Be sure that they are touching. 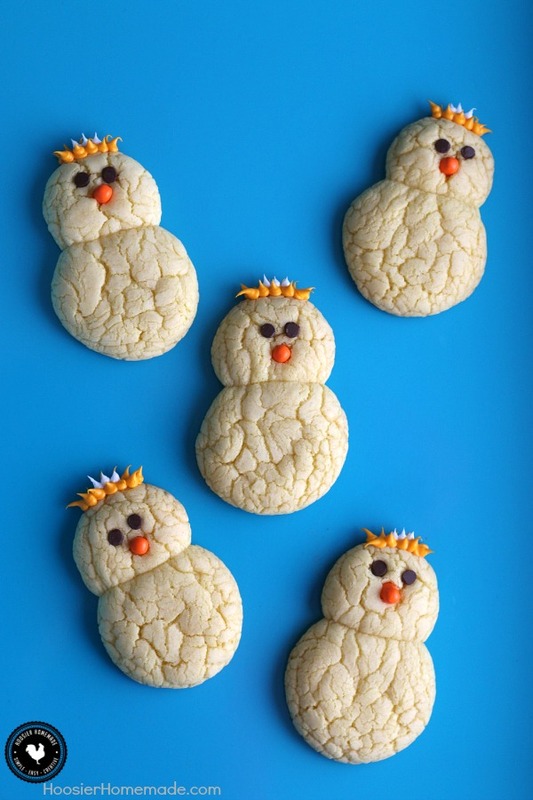 After the cookies are baked, which takes about 10 minutes, immediately add the orange Tic-Tac for the nose and mini Chocolate Chips for the eyes. I just adore the little feathers on his head! A little yellow and white frosting, a decorator bag fitted with a #4 Tip and you have the cutest feathers ever! 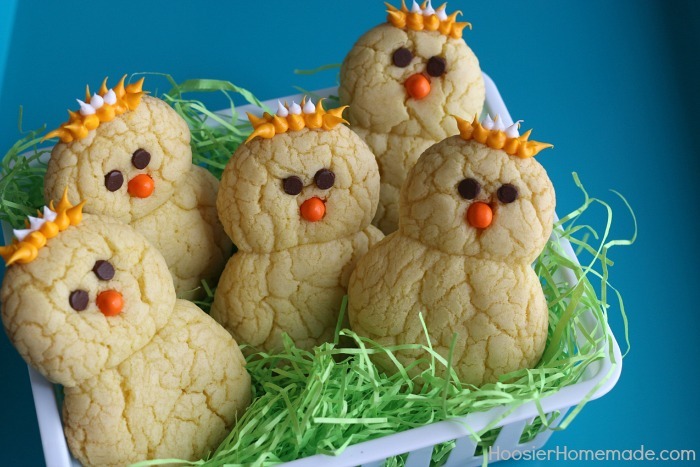 What do you think of these Lemon Chick Pepper Cookies? Love these .. just made them .. since I’m providing to youngsters and seniors I decided the Tic Tacs (which are adorable) might prove problematic (choking?) .. so I substituted Julienned Carrots .. they tiurned out adorable also .. some even looked like the beak was open (two pieces of carrot for one beak). Thanks for this marvelous treat, just in time for Easter. These are so cute and I love how easy they are. My grandson would love them! Thanks for sharing with Wednesday’s Recipe Roundup. Oh how simply adorable! I adore your photos and presentation too. I’m wild about simply easy recipes like this one. Happy Easter to you and yours! Thanks so much! The Lemon Chicks are fun to make! So cute and so simple. What a great project to do with the kids. Sorry to post this comment here but I need help!! I am no longer getting my Cupcake Chronicles Newsletter. I went and resubscribed in case I was accidently unsubscribed, but still no newsletter. Can you help me? Sure…let me check on it and get back to you. I re-subscribed you…you should have an email. Still no email and I checked my spam too. I put you in my address book to make sure it didn’t go else where for sure. Anything else we can do? I hate missing it! Thank you! Love these! They look so simple that even I could make them 🙂 Too, too cute! Not only adorable, but delicious too! Thanks for sharing. 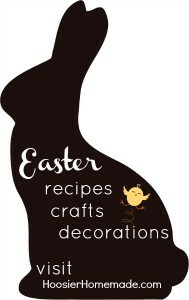 What a cute idea for Easter. liz, how do you make all this cute stuff? perfect to give to the kids or as presents. i love their little heads & fuzzy hair on top. I make these all the time but roll them in powder sugar and call them Lemon Crinkles. I add a little bit of lemonade mix to give it more of a lemon punch. How big should the balls be? I will be using coconut. Any size will work, as long as one is larger than the other. 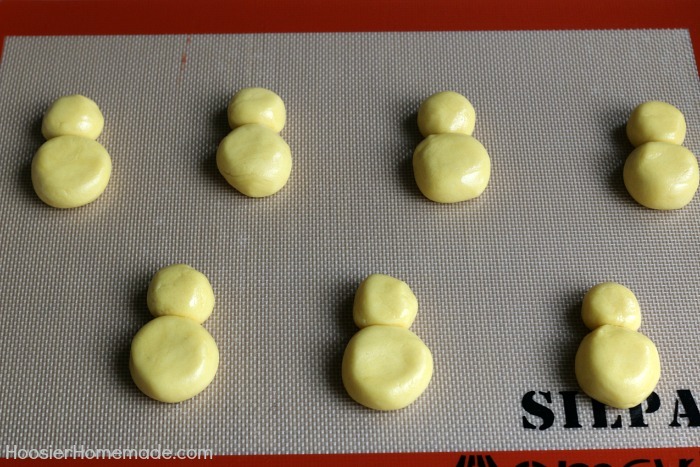 You can make them about the same size as a regular chocolate chip would be, then make the head smaller.